0.9.9 is a great version number for a software. And this is precisely the version number of the new CodeFlow beta, available since yesterday in the downloads section of celedev website. Major improvements in the use of C structs from the Lua code: CodeFlow now supports an object-oriented syntax for structs, that makes the code more concise and readable, and enables you to very easily define your own struct methods. This new feature is described in more details below in this post. A better bindings libraries management adapted to the various iOS SDK versions available on the host computer. In particular, CodeFlow can now automatically select the default SDK corresponding to the version of Xcode installed on your development machine. 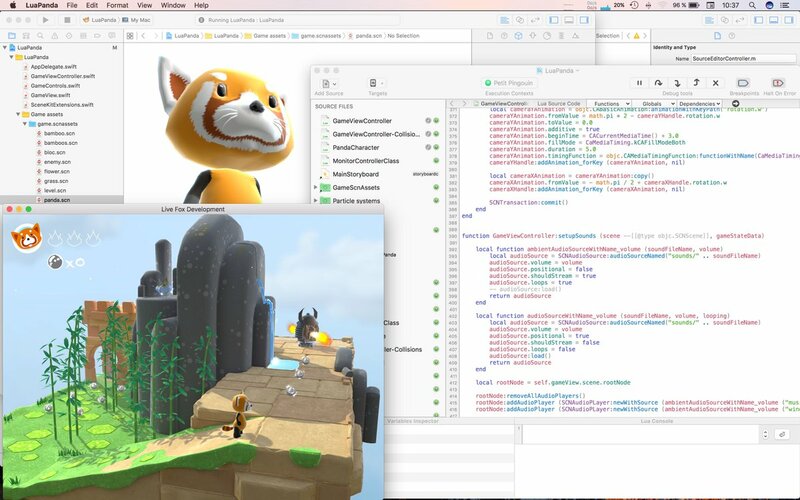 And if you select a specific SDK for your CodeFlow project, CodeFlow will open the associated Xcode project with the right Xcode version for this SDK (on OS X Yosemite only). Really convenient for testing projects that use a beta iOS SDK version! The fix of several problems that could make CodeFlow crash under OS X 10.10 Yosemite. And of course many smaller improvements and bug fixes. CodeFlow Bindings libraries adopt a new format with this version and need to be updated. 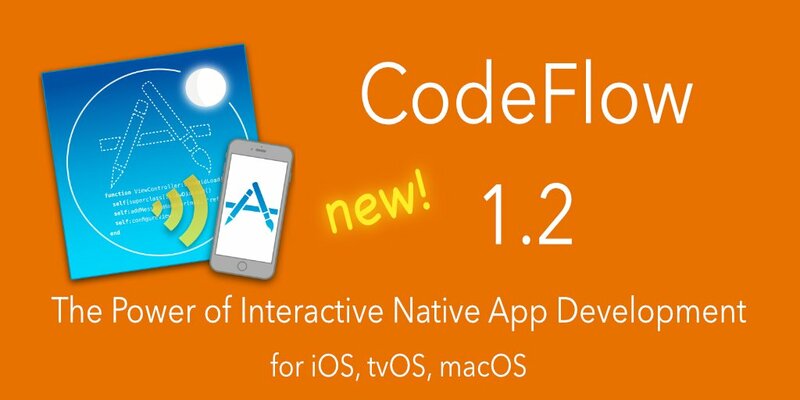 In addition, CodeFlow Bindings for iOS 8.2 SDK have been upgraded to match the beta 2 SDK version released by Apple a few days ago. A new version 0.9.9 of the CodeFlow Sample Applications Package is available too. It includes a new application WatchApp1 that shows how to use CodeFlow to develop an Apple Watch app, and updates of existing applications to illustrate the use of structs with the new object syntax. [Edit 18 Dec. 2014 22:45 CET] As Apple has just released Xcode 6.2 beta 3, CodeFlow Bindings for iOS 8.2 SDK have been updated to match the iOS 8.2 beta 3 SDK. So has the WatchApp1 CodeFlow sample application, which is now compatible with API changes in WatchKit in iOS 8.2 beta 3. 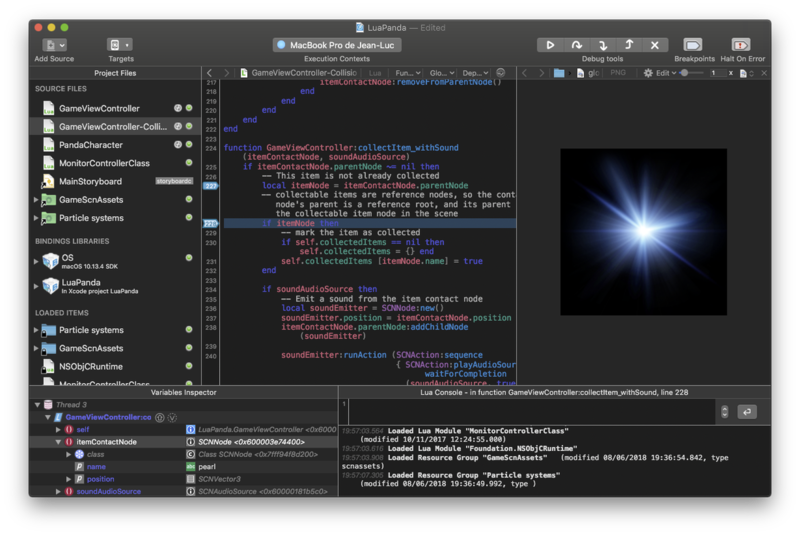 Structs are used heavily in C / Objective-C APIs and the iOS SDK is no exception. Data of struct types, like NSRange or CGRect, are used as parameter or return value in many functions and methods of the SDK. To make the use of these functions/methods possible and practical from the Lua code, CodeFlow supports, since many versions, the transparent conversion from a Lua table to a struct parameter, as well as the reading or writing of struct data fields from Lua. In addition to this basic support, CodeFlow 0.9.9 adds two new tools: struct constructors and struct methods: constructors allow the creation in Lua of a struct with a given type, without necessarily creating it from a Lua table; struct methods provide an easy way to manipulate structs or to get information from them, using a unified syntax with objects, and as a result, improving the code consistency and readability. 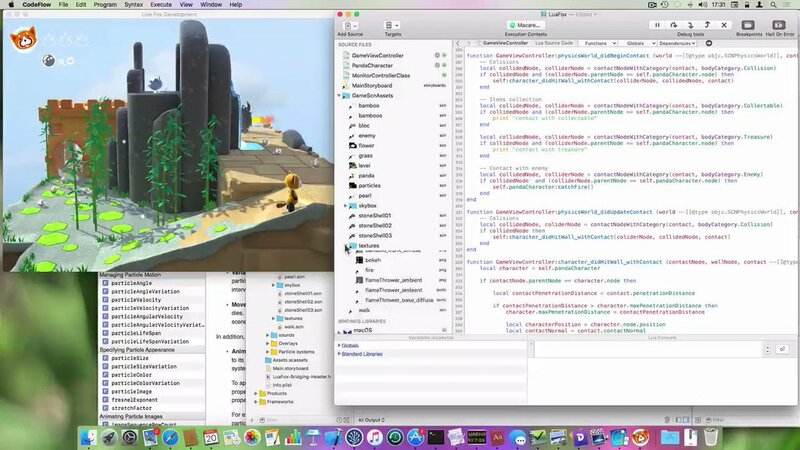 And as everything in CodeFlow is compatible with live-coding, adding or replacing a struct method can be done at any time, including in live mode while the app is running. We can notice here the presence of the centeredRectWithSize method defined in the Lua code (with icon ) ; other methods are C functions (with icon ) defined in Bindings Libraries. Et voilà! This is about all you need to know to use structs in CodeFlow. Quite simple, right? 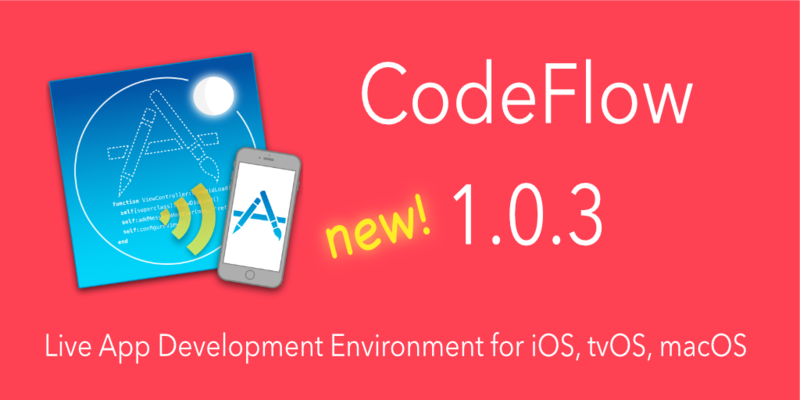 In any case, as a reminder, CodeFlow beta can be downloaded for free. So do not hesitate to give it a try and to send us your feedback or suggestions, either in the comments of this post, or by sending an email to support@celedev.com.